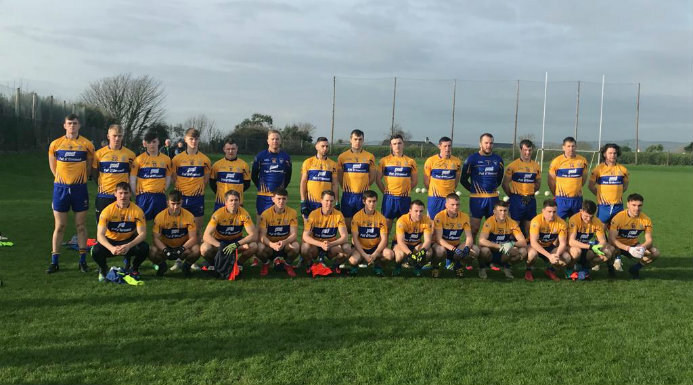 The Clare team that played Waterford in the 2019 McGrath Cup Semi-Final. Clare’s senior footballers take on Division Two favourites Donegal in their opening assignment of the National League today. The Tir Conaill men travel to Cusack Park for a 2pm throw-in to face the current McGrath Cup champions. The Clare team was announced on Friday evening. Throw-in at Cusack Park this Sunday is at 2 O’Clock and Clare FM will have live coverage in association with Tubridys Bar and Restaurant Doonbeg. Clare’s senior football manager Colm Collins is expecting a stiff test from Donegal. Clare Senior Footballer Kevin Hartnett says they’re looking forward to facing Ulster Champions Donegal in Ennis. Donegal’s senior football manager Declan Bonner says they aren’t paying attention to people’s predictions ahead of the National League. The Clare Senior Football Squad are gearing up for the visit of Donegal to Ennis for the first match of this year’s National League. Joe Garry expects the difference between promotion and relegation to be very close.